Digital Union member, Virtual College, explains how apprenticeship training can help you protect your business. The use of social media and digital marketing in business has been growing exponentially for a number of years. Retailers in particular are investing in online visual tools to drive growth. It is understandable that businesses are eager to be present on the same platforms as their consumers, wanting a piece of the digital pie. Within this pie, Facebook is still holds the largest user base within the digital world. It’s platform possesses over 30 million UK users, equating to roughly 50 per cent of the total UK population. Facebook is a powerful tool for all businesses, especially SMEs and retail companies who thrive on and value personal connections with their customers. For smaller businesses, the online world allows an instant connection for not only marketing and promotions, but also establishing and nurturing customer relationships. However, in the same way as more tangible elements of a business, social media and digital marketing can also come with risks attached. Facebook has recently revealed the slowest growth in two years and shares are at an all time low after a third-party app unlawfully obtained the data of nearly 87 million users across the globe, including 1 million from the UK. In light of this, along with new regulations under the GDPR, it is vital to protect your company’s social media privacy and the data that you collect from your users. So what does this mean for businesses that not only use social media and digital marketing on a regular basis, but value it as one of their core marketing tools for their business to be able to grow? Businesses both large and small need to be proactive to protect against growing cyber threats. No company is immune to a data breach. Many SMEs falsely believe that they can avoid the attention of a hacker, yet studies have shown the opposite is true. The Verizon Communication’s Data Breach Investigations Report 2018 revealed that 72 per cent of the 855 global data breaches analysed were at companies with 100 employees or less. As larger companies take steps to secure their systems, the smaller, less secure businesses are becoming increasingly attractive targets for cyber criminals. For an SME, the average cost of a data breach could be between £75,200 and £310,800; a steep price to pay, not to mention the potential damage caused to both your brand and your customer relationships. As technology becomes increasingly important to achieve successful business operations, and the GDPR promises much stricter policies and higher fines that can be incurred for lax data security, the value of a strong cyber insurance policy will continue to grow. No matter what your business’s size, location or industry is, the nature of the modern business world will continually expose you to cyber threats. 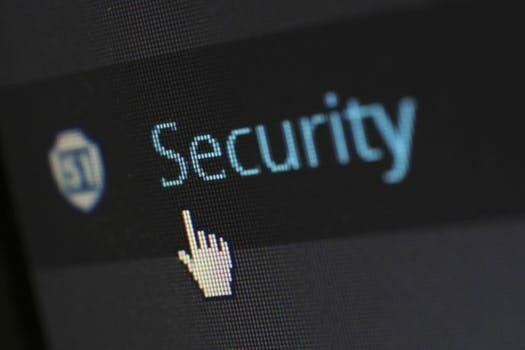 To protect your business from the devastating fallout of a cyber-attack, it’s vital that you protect yourself, your company, and your customers, by having the right skills set within your business. Helping businesses to equip staff with the skills necessary to thrive in the digital world and be able to manage the risks associated is a specialism of Virtual College both through our commercial e-learning resources and our apprenticeships curriculum offer. Back in February of this year, we interviewed Stewart Hyde on significant incidents in Cybersecurity in 2017 and how we can learn from them. Stuart Hyde QPM is a retired UK chief constable who has helped to lead the UK police response to issues on the Internet. He holds an honorary doctorate for his national commitment to cybercrime prevention and detection and is the vice president of both the Society for the Policing of Cyberspace (POLCYB) and the High Tech Crime Consortium (HTCC). In addition to our successful Digital Marketing Apprenticeship Programme, we have now gone one step further and from September 2018 we will be offering Level 4 Cyber Security Apprenticeships and Level 3 IT Technical Sales to help businesses address the skills gap in this area in the most affordable way. Our tutors have a wealth of qualifications and experience within the Digital Marketing and Cybersecurity sectors having taught up to degree level, so you can be assured the skills and expertise that will be passed on to your staff will be high quality relevant to your business. You can access apprenticeship funding to either upskill an existing member of staff or recruit an apprentice in to your business. Upskilling your staff in digital and cybersecurity skills ensures that you can continue to provide a quality of service to customers in the online world that matches that of your approach in-person making staff training a priceless investment. If you would like to find out more about our Digital Marketing, Technical Sales and Cybersecurity Apprenticeships, please get in touch with Virtual College for an informal chat.